The Formilla.com customization and language support feature is available with our Premium account offering. You have the ability to customize text for any language of your choice! We have many languages out of the box such as Spanish, Portuguese, Italian, German, French, Polish, Chinese, and more! You will be able to customize the text in virtually any language, and if you don’t find your language out of the box, we can easily add it. Take a look below to see the chat form as it is today versus an example of a customized version. 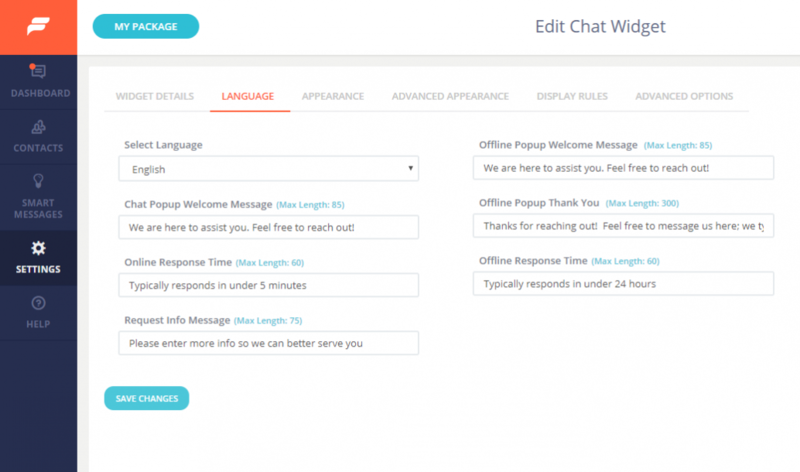 Don’t forget to check out the ability to customize the colors and themes of your live chat button/widget as well. If you still have questions, catch us online or email us at support@formilla.com and we’ll get back to you right away.